Lower operating costs and maximize uptime through regular maintenance with Maxim Truck & Trailer. Schedule service and repairs in advance, or call us and we'll work around your operating schedule. We offer preventative maintenance, repairs, and major component warranty work on most makes and models of heavy duty and medium duty trucks. Maxim’s nationwide crew of more than 200 service technicians are certified and receive ongoing training from equipment, engine, and component manufacturers. We guarantee you’ll be happy with our work. Maxim Truck & Trailer offers a no hassle, North America wide warranty that guarantees new International parts installed in your truck for one year. 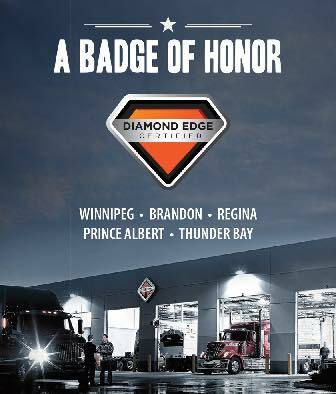 The warranty covers parts and labour at any of the 1,000 International dealers in North America. We also manage other vendor warranties at select locations. Click to Download the Maxim Service Capabilities Brochure!